Is Truly Autonomous Robotic Surgery Far Off? You’ve probably heard of robotic surgery. Sure sounds cool and very much like Star Trek. I mean, Bones could do this in his sleep. Right? But robotic surgery in its current iteration is actually more “remote” surgery. It’s still performed by a surgeon but he sits across the room from the patient at a console where he manipulates handles that in turn do the surgery. A series of lights, cameras, and instruments are inserted through cannulae into the patient, and the surgeon manipulates the instruments under visual guidance and performs the procedure not unlike he would if he were standing next to the patient. This is very expensive equipment as you might imagine. But, distance can prove a problem here. Time lag is never a good thing in surgery. The surgeon needs everything to happen in real time, particularly if an emergency arises or things go wrong. There is no time for delay under these circumstances. Think about space travel. Let’s say, that a colony is being constructed on Mars. The initial explorers would be few in number and would have skills more related to space travel and geology and other scientific endeavors. 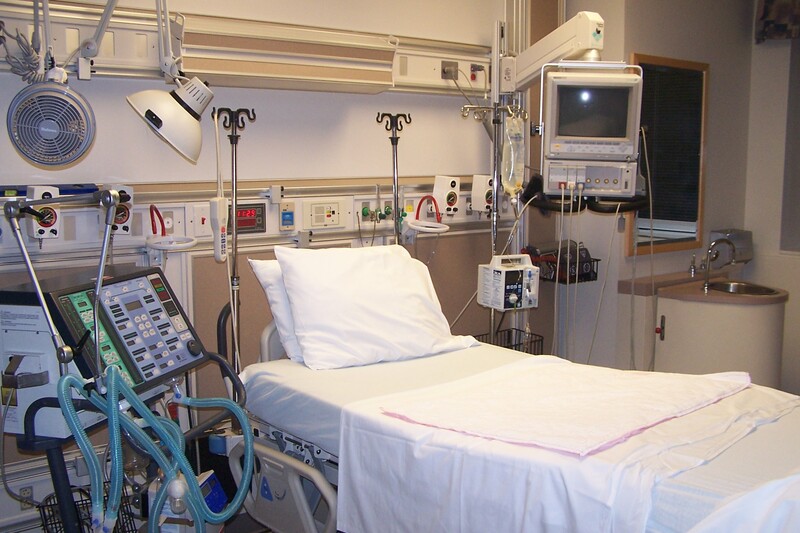 Having a surgeon and a well-equipped operating room might not be possible. Not to mention, most surgeons are not trained to do all procedures – – or at least they are not comfortable with doing them. Robotic surgery could eliminate this problem. But not in its current form. For example, what if a surgeon is performing a gallbladder removal using a robotic device? The patient is on Mars; the surgeon is on Earth. The time lag for instructions to travel the roughly 250,000,000 miles back and forth would be daunting. Currently, communication with the various Rovers that are roaming around the red planet pass through one or more satellite systems and can take anywhere from three or four minutes up to 20 or 25 minutes. In surgery, such delay could prove catastrophic. The solution, of course, is a completely autonomous robotic surgeon. One that can perform the surgery – – from skin to skin as surgeons like to say – – on its own. One that does not require any ongoing instructions or feedback. One that “sees” what is needed and performs all the needed tasks to complete the surgical procedure. Very heady stuff. But such research is ongoing right now. A system known as the Smart Tissue Autonomous Robot (STAR) is in development. It’s in its beginning stages and therefore still fairly crude but it is a step in the right direction. In my second Dub Walker thriller, Hot Lights, Cold Steel, the arena of robotic surgery in the hands of a megalomaniac is in play. Dub and crew, of course, must uncover what is going on and track down the culprits. This is sad. 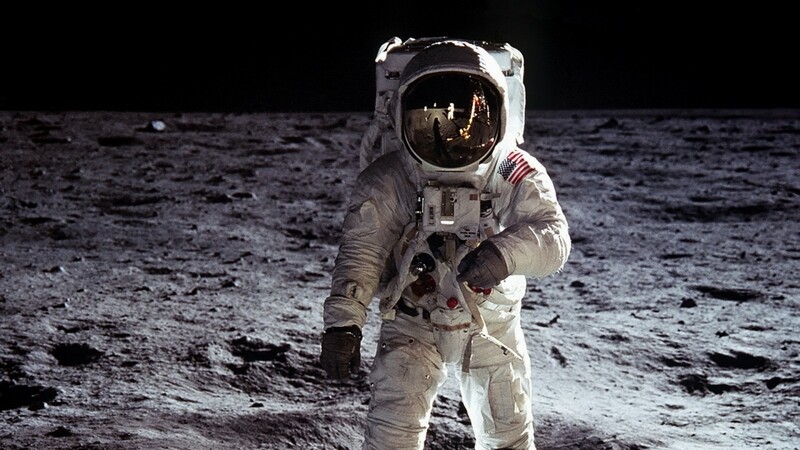 Only 12 men have set foot on the moon and Edgar was the 6th. As Apollo 14’s Lunar Module pilot, his main job was to transport himself and fellow astronaut Alan Shepard to the moon’s surface and back to the Command Module safely. He easily did so. Apollo 14 was an especially tense trip after the near disaster of Apollo 13. A few years ago I was invited by NASA’s Marshall Space Flight Center to do the ribbon cutting for the opening of CSI: The Experience at the Space Museum in Huntsville, AL—my hometown. Marshall is very engaged in developing new and improved forensic science techniques and equipment. It was a very special experience, particularly for a boy who grew up with Von Braun’s rocket boosters periodically shaking the ground and building rockets in my backyard. At the reception, which was held at the Davidson Center For Space Exploration, I met Edgar. He was an intelligent and witty man. So long, Edgar, you are a national hero. Looking into the future, what would happen if an astronaut on Mars or a colonist on the Moon needed surgery? Who would do it? It’s not like a surgeon could be dispatched to Mars on an emergent basis. Nor would it be likely one would be part of the small and carefully selected crew. So how can this problem be solved? Maybe have a marginally trained person perform the needed procedure guided by a surgeon on the ground. Or a robotic device could be employed, while the surgeon sat at console on Earth. This is how most so-called robotic procedures are done now—-the patient is on the table while the surgeon sits at a console several feet away. In an Earth-controlled surrogate-surgeon or robotic procedure, the main problem the Mars-exploring patient and the Earth-bound surgeon would face is the time lag for the instructional signals to travel back and forth. This would be a significant and make surgery extremely difficult if not impossible. Depending on where each planet is in its own orbit, the two planets are separated by 34 million to 250 million miles. And the time required for a signal to travel one way varies accordingly—-between 4 and 24 minutes. Meanwhile, incisions are being made, blood if flowing, and the surgeon is twiddling his thumbs waiting to see the results of his most recent action. Not a pretty or effective situation. So what about a completely self-contained, self-controlled robotic device? One that operated—so to speak—on its own? That would be cool. And research is moving that way. This concept played a significant role in my second Dub Walker thriller HOT LIGHTS, COLD STEEL. Q and A: What Happens When a Person Is Exposed to the Vacuum of Space? Q: What sort of damage does the human body suffer in the vacuum of space? How long can one survive and what will happen to the person who does survive? My scenario involves an astronaut whose faceplate blows out, but not before he depressurizes his suit sufficiently to prevent immediate death. A: First of all the victim would not explode as was the case in the movies such as Total Recall. But some very bad things do happen internally and they happen very quickly. Whether he depressurizes somewhat beforehand or not, his survival once he reached zero pressure (vacuum) would likely be measured in seconds. Space decompression sickness is similar to that of a scuba diver that rises too rapidly after a prolonged exposure to the pressures of the deep. In this case the diver is going from excess pressure to normal pressure. In space the victim goes from normal pressure to zero pressure. Same thing physiologically. In diving, the problem is that the excess pressure causes excess nitrogen (N) to dissolve in the blood. This N will come back out of the blood as the pressure is reduced. This should happen slowly to prevent decompression sickness or the bends. But, if the diver rises rapidly, the pressure drops rapidly, and the N comes out of the blood quickly, forming N bubbles in the blood stream. This is similar to popping the top on a soft drink. Here the release of the pressure allows the carbon dioxide (CO2), which was placed into the liquid under pressure, to come out of the liquid and form bubbles. We call this carbonization. A good thing for your soft drink, but not so good for your brain and heart and muscles. In space decompression basically the same thing happens. Apparently the culprit is water and not N in this situation, however. With the sudden release of pressure, the water in the blood “boils,” becoming a gas, and bubbles form in the system. I should point out that in chemical and physical terms boiling simply means the changing of a liquid to a gas. This can be accomplished by adding heat (boiling water on a stove) or by lowering the ambient pressure (popping open a soft drink). In the case of space decompression it isn’t that the blood gets hot, but rather that the pressure that keeps the water in its liquid state is removed and the water changes to its gaseous state, or boils. Doesn’t sound very pleasant does it? Though studies on the effects of exposure to a vacuum have been done on chimpanzees, there are no real data on what happens to humans exposed to zero pressure except for a couple of incidents where an astronaut or a pilot was accidentally exposed. Of course, rapid decompression has caused deaths in both high-altitude flights and in June, 1971 when the Russian spacecraft Soyuz 11 suddenly lost pressure, killing the 3 cosmonauts on board, but survivors are few and far between. On August 16, 1960, parachutist Joe Kittinger ascended to an altitude of 102,800 feet (19.5 miles) in an open gondola in order to set a world record for high-altitude parachute jumping. He lost pressurization in his right glove but proceeded with his ascent and jump. He experienced pain and loss of function in his hand at high altitude but all returned to normal once he descended via chute to lower altitudes. In 1965 at NASA’s Manned Spacecraft Center near Houston, TX, a trainee suffered a sudden leak in his spacesuit while in a vacuum chamber. He lost consciousness in 14 seconds, but revived after a few seconds as the chamber was immediately re-pressurized. He suffered no ill effects—due to his very brief exposure—but stated that he could feel water boiling on his tongue. This was actually the above mentioned boiling scenario in which water (in this case saliva) becomes a gas on exposure to zero pressure. A case of partial, prolonged exposure occurred during an EVA (space walk) in April 1991 on the US space shuttle mission STS-37. One astronaut suffered a 1/8 inch puncture in one glove between the thumb and forefinger. He was unaware of it until later when he noticed a painful red mark on his skin in the exposed area. It appeared that the area bled some but that his blood had clotted and sealed the injury. So, what happens to a human exposed to zero pressure? Since there is no oxygen in such an environment, loss of consciousness occurs in a matter of seconds. Also, if the victim held his breath (don’t do this during scuba diving when coming up from depths either), the air in his lungs would rapidly expand and his lungs could be damaged, bleed, or rupture. Better to open his mouth and exhale the rapidly expanding gas from his lungs. Water in his blood stream would immediately begin to “boil,” filling the blood stream with water vapor (the gas form of water) and stopping his heart. Bubbles might appear in the blood stream and cause damage to the body’s organs, particularly the brain. As a result, the brain and nerves cease to function. As more and more gas formed within the body, the entire body would swell but it would not explode. Exposure to heat or cold or radiation might also occur but it will do little harm since the victim would already be dead. But what if the exposure were brief and the person rescued? Treatment would be to immediately return him to a pressurized environment and give him 100% oxygen. He may survive unharmed or may have brain and nerve damage which could be permanent. For your scenario, whether he partially decompressed or not, he would be in trouble very quickly. When your victim’s faceplate ruptured he would hopefully begin to exhale air to prevent the expanding gases in his lungs from rupturing them. 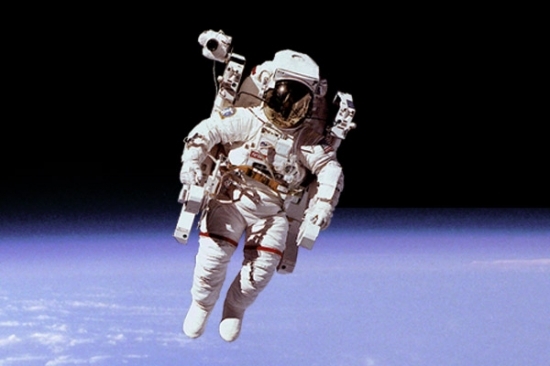 As air, and thus oxygen, flowed from his lungs and into space, the oxygen content of his blood would rapidly drop and he would lose consciousness in 10 to 20 seconds. He would then die in short order. If he were quickly rescued, he would be returned to the spacecraft, which would be pressurized, and would be given 100% oxygen via a face mask. He could survive intact or with brain damage. It’s your call. Either way works. It has long been known that isolation can lead to all sorts of psychological problems, including delusions and hallucinations. Prisoners in isolation, who have limited interaction with others, can suffer just such effects. In medicine, we see it frequently. Someone has surgery, and then for whatever reason (complex surgical problems, complications, co-morbidities, etc.) must linger in the ICU for a few days. This is a form of isolation as they are limited in their activity and in who they see and talk with on a regular basis. Sort of like prison isolation. Not to mention they might be receiving medications for pain, sleep, or agitation, each of which can alter mental function. After as little as a couple of days, the person can become confused and disoriented and suffer delusions, such as everyone is trying to kill them, or they are being held prisoner and undergoing some alien experimentation, as well as hallucinations where they see, feel, and hear things that don’t exist. Seen it hundreds of times. It’s that common. It even has a name: ICU Psychosis. Astronauts are in a similar situation. They spend months in an enclosed, monotonous environment, interacting with the same people, day after day. It’s like prison, or an ICU. Do they also develop delusions and hallucinations? It seems that the do. In fact, I would be surprised if they didn’t. 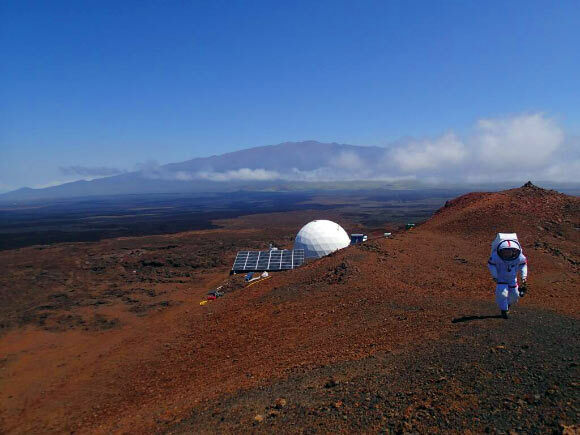 So, during a trip to Mars, where isolation is very real, could such psychiatric problems jeopardize the mission? You bet. NASA takes this seriously and has begun studies into such long-term deprivations. You would think that the last thing that an astronaut would fear while performing a spacewalk would be drowning. How on earth does that happen? Oh, wait a minute, he wouldn’t be on Earth. I guess out there in the wild blue yonder all the rules change. Ask Luca Parmitano, an Italian astronaut who worked on board the International Space Station (ISS). It seems that over a liter of water accumulated inside his helmet obstructing his ears and his eyes and raising the possibility that he could drown in space. He isn’t the only one to suffer spacesuit problems during spacewalks, Extravehicular Activities or EVAs in NASA-speak. Here is an interesting article from The New Scientist on five such situations. How do you do surgery in zero gravity? Very carefully. And it helps to have NASA’s latest toy. You’ve probably seen videos of astronauts playing with water in space. No dripping or dropping here. Due to their inherent surface tension and the lack of gravity applying any external force, liquids tend to form into spheres and float around. Fun stuff. But what about blood? Of gall bladder fluid? Or, yuck, pus from an infected wound? These are not materials you want floating around in your space capsule, or your face. The Aqueous Immersion Surgical System (AISS) just might solve this problem. It is a saline-filled transparent box with airtight ports through which orthoscopic surgical tools can be passed. Very clever and very cool.